Darren spencer electrical, a small electrical company based in Worcestershire, who specialise in the domestic market, we also consider ourselves experts in the field of Fuse Boards, I wanted to help people understand, probably one of the biggest regulation changes in recent years and give you my take on it giving the information that needs to be given and omit the confusion. For some free advice and no obligation call Darren on 01905915001. 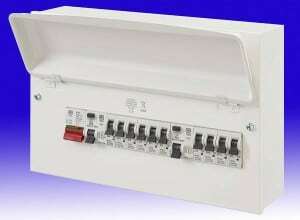 The first item to be discussed is why, well the powers that be who write the regulations the IET and their supporting cast, is the fact that there seems to be many more fuse box fires than is acceptable, so they have decided that from January 1st any approved contractor will have to install only non combustable material fuse board’s. This would be very unfair if they meant everyone who had a plastic fuse board, so this where I will try and give the best advice i do my present customers. 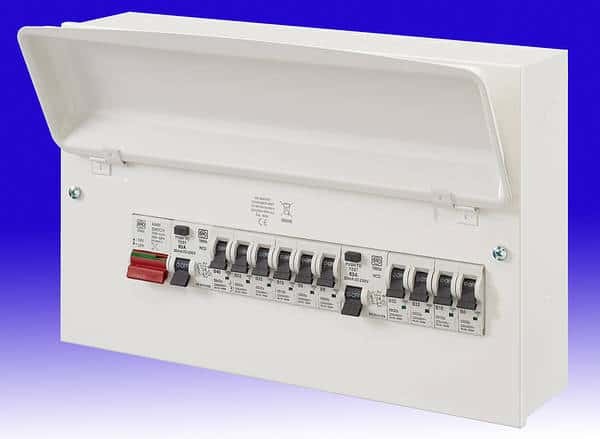 I would strongly recommend anyone who hasn’t got any RCD fuse boards to upgrade to the new regulations, as they are a thousand times safer, more efficient, which will bring your energy bills down and the piece of mind is the one that would seal it for me, and for your family and friends. If you have a board, that has been installed in the last five year’s, I highly recommend you get what we call an Electrical Installation Condition Report ( EICR ), this will give an equivalent to an MOT on your property’s electrics, you will also receive a certificate as well, good if your thinking of moving or just moved in and what everything checked. I would be most concerned though is anyone who has the fuse board with the fuse wire in, I can’t strongly recommend how safer the new fuse boards are compared to these, and what you pay for a new one, it would be a no brainer for me. 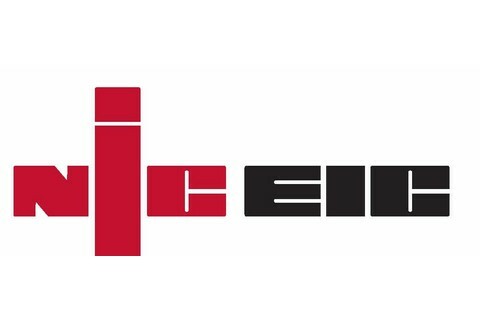 It is vitally important that whoever you contact they are an approved Part P contractor and registered with one of the governing bodies, here at Darren Spencer Electrical we are Elecsa registered, Part P Certified, a member of electrical safety council and carry the Trustmark sign. The extra advantage that we carry is we have been installing the new fuse boards since last July 1st 2015, as they were available then, so we know all the pro’s and con’s of the new boards and help the local wholesalers with the best accessories required to meet the new standards, month’s before some of the electricians so we are one step ahead of the game. Whatever your situation may be, give Darren a ring on 01905915001, there is no obligation, all my advice is free, I consider myself an expert in this field, so why not give me a call and see what I can do for you.